Life Measure Constructions si articola in una serie di disegni interattivi che consentono allo spettatore di contruire un proprio ambiente online che, nelle parole dell’artista, dovrebbe fungere da ‘strumento riflettente dell’esistenza dello spettatore’. Dopo una breve animazione introduttiva sul tema filosofico dell’opera, lo spettatore è chiamato a creare configurazioni scultoree con le quali popolare l’ambiente online, che viene a rappresentare le relazioni e i valori simbolico-immaginari dello spettatore con la realtà. Gli oggetti possono essre salvati, e successivamente modificati – e possibilmente anche ‘vandalizzati’ – da altri spettatori. Questa funzionalità è finalizzata a incoraggiare la riflessione sul rapporto tra creazione, possesso e condivisione dell’opera d’arte come strumento flessibile di infinite configurazioni simboliche. Life Measure Constructions is an interactive drawing with two main sections: an introductory animation and an interactive area. The former introduces the philosophical theme of the work. 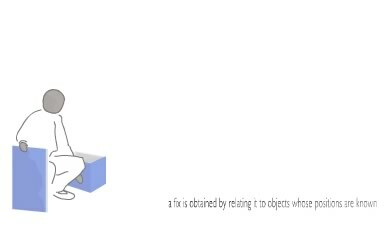 The latter is an area of activity: chosing from a set of objects, users can create sculptural configurations in a landscape and save them to the server. Each configurations can be changed by subsequent visistors, so that the landscape has the potential to change through the lifespan of the work. Three levels of interaction are available: When clicking a configuration, the image will be called as individual configuration which can be scrolled through with the mouse whilst pressing the Shift button. Click the trolley and the user is taken to the building site: here the configurations can be made. In addition, there is a map that indicates the used areas and the empty ones: users can go directly to one of them. The Navigation needs to be discovered by the users themselves. The artist invites the viewer to create their own worlds on the web. An interactive electronic drawing, Life Measure Constructions allows us to free our imaginations and make decisions as to how the online environment will develop. Jorn's work is concerned with situations such as migration, settling down, creating environments. In his performances and drawings, he uses objects as playful tools to create visual narratives. Life Measure Constructions is an interactive drawing with two main sections: an introductory animation and an interactive area. The former introduces the philosophical theme of the work. 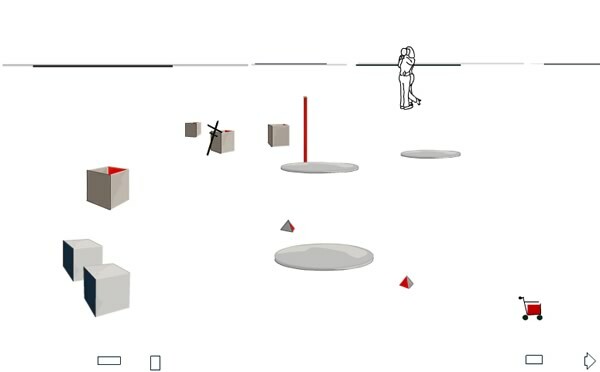 The latter is an area of activity: choosing from a set of objects, users can create sculptural configurations in a landscape and save them to the server. Each configuration can be changed by subsequent visitors, so that the landscape has the potential to change through the lifespan of the work. 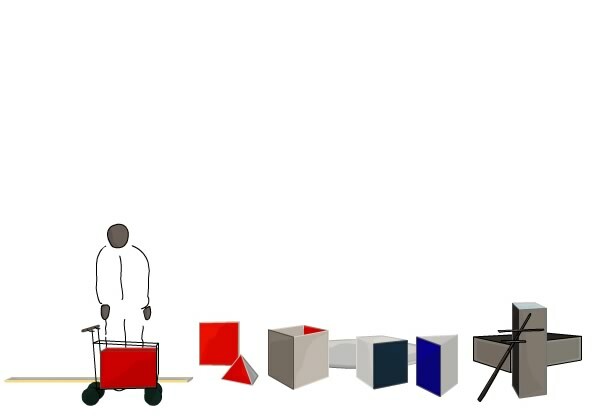 As these graphic representations of objects are movable, they have a sense of tactility via the hand moving the mouse, or the fingers stroking the pad on a notebook. It is sculptural in the sense that also these objects are moved around in a vaguely proper perspective view of imagined space, or imaginary space. On screen a situation is created that reflects spatiality and an individual's response; it also reflects on an individual's behaviour towards givens: it could potentially be vandalized. In order to avoid the browser interface, the work uses a full screen command. Centre, University of Dundee, at DCA Dundee Contemporary Arts.